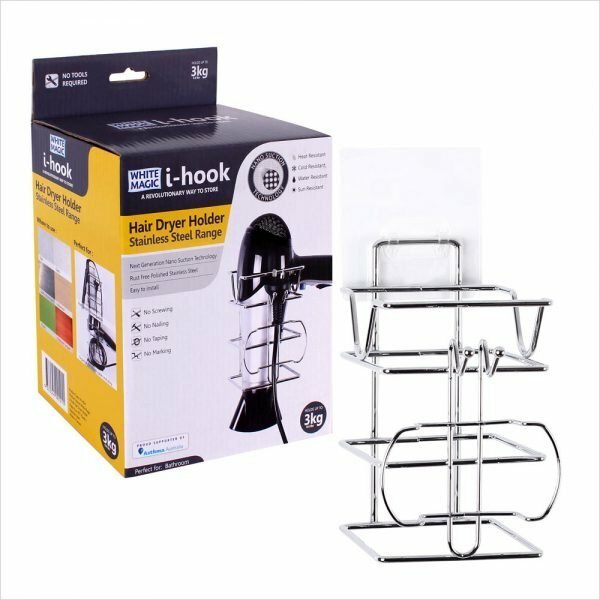 A revolutionary nano suction material that binds strongly to any smooth sealed surface such as tile, polished timber, stainless steel, glass, melamine and plastic are all perfect surfaces. 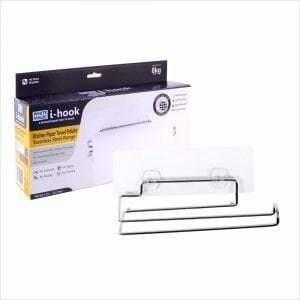 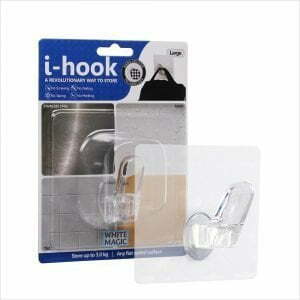 Heat, water, sun and cold resistant i-hooks can be repositioned hundreds of times and washed if dirty. 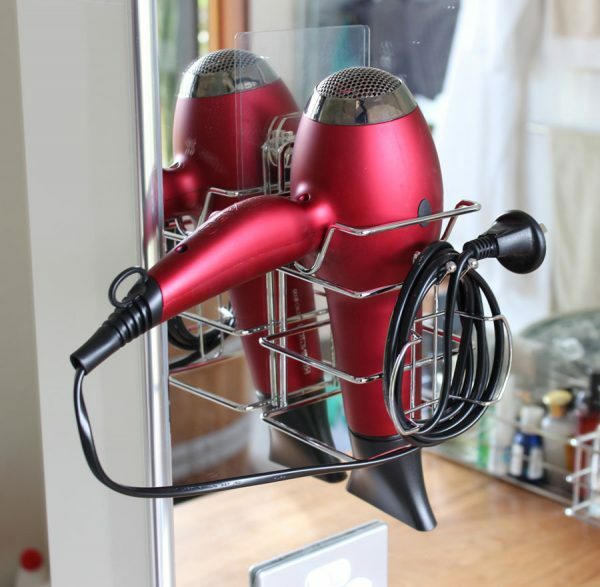 The Hair Dryer Holder is perfect for the largest hair dryer or straightener. 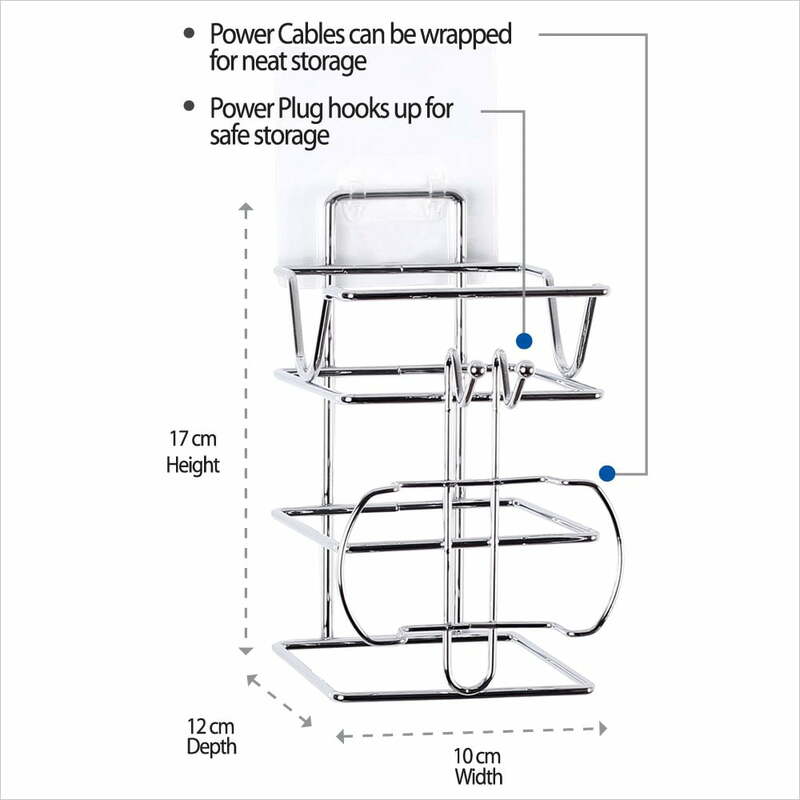 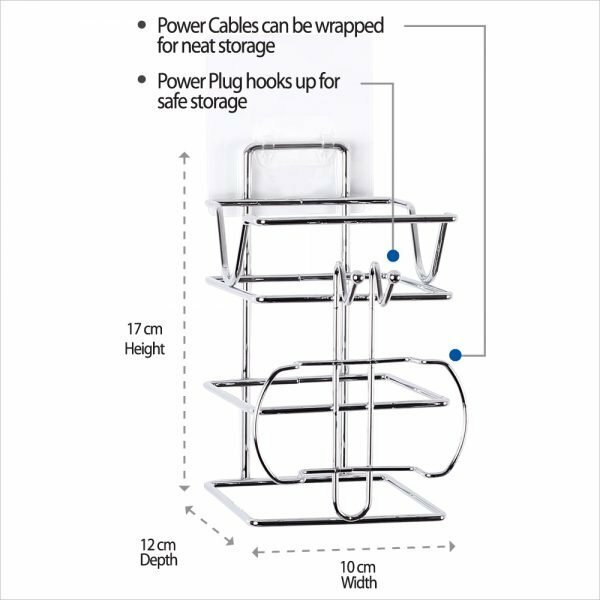 It has a convenient cable and plug organiser on the front and can hold 3kgs.